Well, not entirely, but it certainly feels that way sometimes. This is not a post about my personal life, where I do not feel alone in the least. This is about my otherkin connection to centaurs. While I’m not the only centaurkin out there, I do seem to be about the only one attempting to communicate with the rest. And thus, my conclusion of (almost) all alone. One observation about otherkin is that the more popular races (elves, angels, wolves, dragons, faeries, vampires) have had stories and legends about them for centuries, and over broad areas and cultures. Centaurs (and satyrs, fauns, unicorns, and other equines/ungulates) are pretty “site-specific” in their legends and stories. Sure, if you dig deep enough, you’ll find centaurs in Hindu and other South Asian cultures, but those aren’t popularly known. Only the Greek mythology is known well enough for people to understand that’s simply where all centaurs and similar creatures come from. I believe this is why there are so few of us at all. The others have had all this time to incorporate into the human psyche. Centaurs had the problem of always being monsters, drunk and lascivious, except for one fine example of a compassionate being named Kheiron. Who in their right mind would ever admit to having had a life at some point as one of them? Well, some would, just as many people admit to being vampire and werewolf kin these days, legends not known for being all that positive in the general human populace. Perhaps what’s going on here is that our kind hasn’t had the time to become popular, like the rest. Centaurs are popular in the general population now, thanks to some books and movies, yet they still aren’t the centerpiece, the main characters, and so aren’t yet taken seriously enough for that role. We’re “window dressing” for the time being. I don’t know the percentages for interest, just that my observation has been that there’s more interest in centaurs from the gay community than from anyone else as far as being one goes. Most everyone else simply likes/loves them without going the otherkin route. But it is nice to see some women having that kinship with them, however few there are. I only wish they were either more active or would at least share contact info beyond whatever message board they’re aren’t posting to any longer. 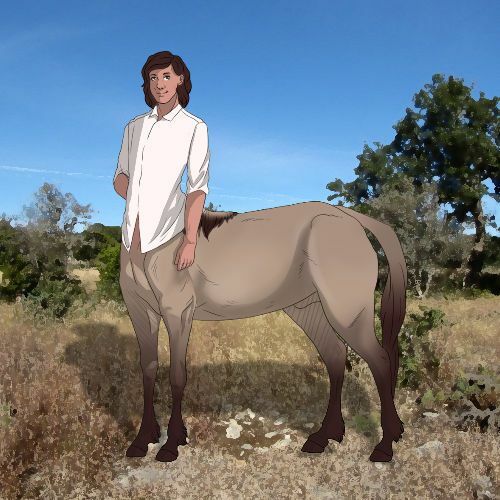 I am also a centaur kin, and i am trying to figure out how to navigate said kinship, as my connection has become stronger recently but it has always been there. The most common bit of advice I see on the one message-board I go to for otherkin, and the one I recommend, is to meditate. While my own practice is sparse, it does help in recovering memories, and just coming to terms with being centaurkin. And, it doesn’t matter what your beliefs, meditation works for everyone.